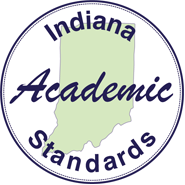 This Teacher Resource Guide has been developed to provide supporting materials to help educators successfully implement the Indiana Academic Standards for Biology 1. These resources are provided to help you in your work to ensure all students meet the rigorous learning expectations set by the Academic Standards. Use of these resources is optional – teachers should decide which resource will work best in their school for their students. The resources, clarifying statements, and vocabulary in this document are for illustrative purposes only, to promote a base of clarity and common understanding. Each item illustrates a standard but please note that the resources, clarifying statements, and vocabulary are not intended to limit interpretation or classroom applications of the standards. The links compiled and posted in this Resource Guide have been provided classroom teachers, the Department of Education, and other sources. The DOE has not attempted to evaluate any posted materials. They are offered as samples for your reference only and are not intended to represent the best or only approach to any particular issue. The DOE does not control or guarantee the accuracy, relevance, timeliness, or completeness of information contained on a linked website; does not endorse the views expressed or services offered by the sponsor of a linked website; and cannot authorize the use of copyrighted materials contained in linked websites. Users must request such authorization from the sponsor of the linked website. B.1.1 Compare and contrast the shape and function of the essential biological macromolecules (i.e. carbohydrates, lipids, proteins, and nucleic acids), as well as, how chemical elements (i.e. carbon, hydrogen, oxygen, nitrogen, phosphorus and sulfur) can combine to form these biomolecules. B.1.2 Analyze how the shape of a molecule determines its role in the many different types of cellular processes (e.g., metabolism, homeostasis, growth and development, and heredity) and understand that the majority of these processes involve proteins that act as enzymes. B.1.3 Develop and use models that illustrate how a cell membrane regulates the uptake of materials essential for growth and survival while removing or preventing harmful waste materials from accumulating through the processes of active and passive transport. B.1.4 Develop and use models to illustrate how specialized structures within cells (i.e. nuclei, ribosomes, Golgi, endoplasmic reticulum) interact to produce, modify, and transport proteins. B.1.5 Develop and use a model to illustrate the hierarchical organization of interacting systems (cell, tissue, organ, organ system) that provide specific functions within multicellular organisms. B.2.1 Use a model to illustrate how photosynthesis transforms light energy into stored chemical energy. B.2.2 Use a model to illustrate that cellular respiration is a chemical process whereby the bonds of food molecules and oxygen molecules are broken and the bonds in new compounds are formed resulting in a net transfer of energy. B.2.3 Use mathematical and/or computational representations to support claims for the cycling of matter and flow of energy among organisms in an ecosystem. B.2.4 Develop a model to illustrate the role of photosynthesis and cellular respiration in the cycling of carbon among the biosphere, atmosphere, hydrosphere, and geosphere. B.3.1 Use mathematical and/or computational representation to explain why the carrying capacity ecosystems can support is limited by the available energy, water, oxygen, and minerals and by the ability of ecosystems to recycle the remains of dead organisms. B.3.2. Design, evaluate, and refine a model which shows how human activities and natural phenomena can change the flow of matter and energy in an ecosystem and how those changes impact the environment and biodiversity of populations in ecosystems of different scales, as well as how these human impacts can be reduced. B.3.3 Evaluate the claims, evidence, and reasoning that the complex interactions in ecosystems maintain relatively consistent numbers and types of organisms in stable conditions, and identify the impact of changing conditions or introducing non-native species into that ecosystem. B.4.1 Develop and revise a model that clarifies the relationship between DNA and chromosomes in coding the instructions for characteristic traits passed from parents to offspring. B.4.2 Construct an explanation for how the structure of DNA determines the structure of proteins which carry out the essential functions of life through systems of specialized cells. B.4.3 Construct a model to explain that the unique shape and function of each protein is determined by the sequence of its amino acids, and thus is determined by the sequence of the DNA that codes for this protein. B.4.4 Use a model to illustrate the role of cellular division (mitosis) and differentiation in producing and maintaining complex organisms. B.4.5 Make and defend a claim based on evidence that inheritable genetic variations may result from: (1) new genetic combinations through meiosis, (2) viable errors occurring during replication, and (3) mutations caused by environmental factors. B.5.3 Apply concepts of statistics and probability to support a claim that organisms with an advantageous heritable trait tend to increase in proportion to organisms lacking this trait. B.5.4 Evaluate evidence to explain the role of natural selection as an evolutionary mechanism that leads to the adaptation of species, and to support claims that changes in environmental conditions may result in: (1) increases in the number of individuals of some species, (2) the emergence of new species over time, and/or (3) the extinction of other species.